Jen Margaret, a Treaty advocate and educator, has been working with Inspiring Communities supporting our journey to strengthen our engagement with Te Tiriti. Here, she talks about the importance of New Zealanders across the spectrum valuing and recognising Te Tiriti – and ways of doing that. Why should people think about applying a Te Tiriti lens to their work and their lives? There are many reasons to do this. For me, it’s simply because we live in Aotearoa and for hundreds of years prior to my Pākehā ancestors coming here this was an entirely hapū based/Māori society and all of the lands were in hapū control. Despite entering into an agreement (Te Tiriti o Waitangi) which affirmed hapū leaders’ authority and control, the British colonised New Zealand, imposed their ways of living and took control of most of the lands. Hapū/iwi/Māori have been marginalised by this process and we have a huge imbalance in our society as a result. I want to live in a flourishing community and country – Te Tiriti is a foundation agreement in this country and honouring it is a way to restore balance and health to our society. In Aotearoa the people who have been on these lands for centuries should be central to conversations about what is happening in communities. They bring knowledge and approaches based on longstanding relationships to this land which promotes an enriched understanding and response for everyone. So in part, this is about strengthening relationships between tangata whenua (first peoples) and tangata Tiriti (all those who have come by right of Te Tiriti). It is about making our ways of working fit for purpose in Aotearoa. 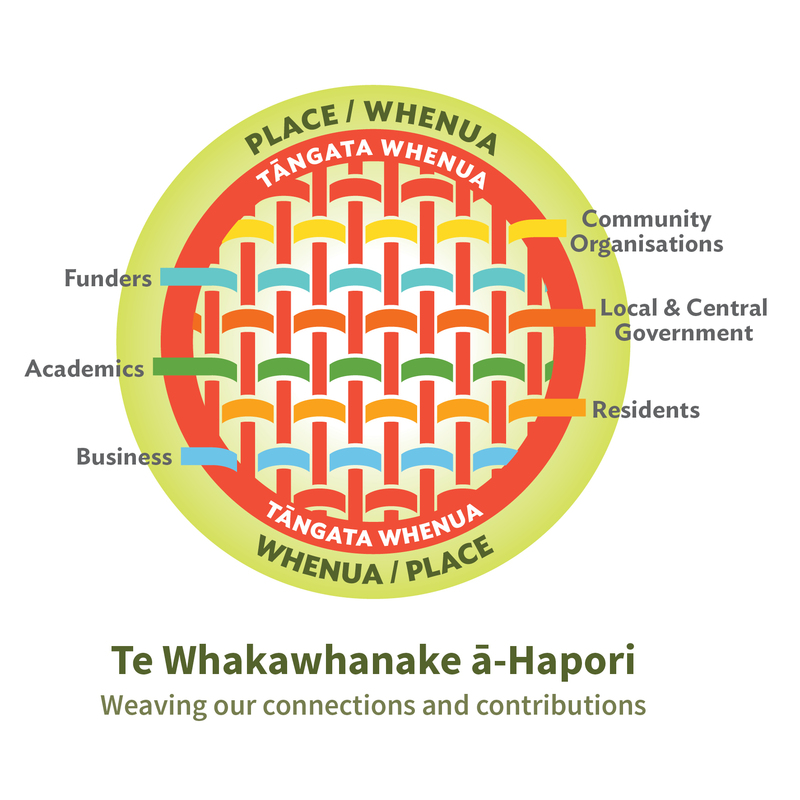 Inspiring Communities expresses this in this way: We develop CLD theory that is contextualised to Aotearoa and reflects the centrality of tangata whenua to ‘place.’ We do this through applying a Treaty lens* to our core conceptual work. We acknowledge our position as tangata Tiriti and engage with Te Ao Māori to shape our work. Can you briefly explain how you helped Inspiring Communities (IC) to go through this process? My background is in Community Development and Te Tiriti o Waitangi, so IC asked me to work with them around strengthening their engagement with Te Tiriti. We began with a workshop, to focus on where IC was at and how it might work to support tino rangatiratanga. We then identified the first steps for the organisation to take. The workshop included an overview of Te Tiriti o Waitangi itself, its context (including He Wakaputanga), and meaning and colonisation. 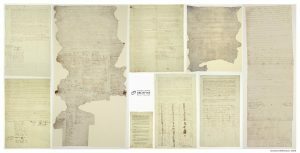 For group/communities engaging with Te Tiriti this is often an important first step so that everyone enters conversations about applying the treaty with a common understanding of the agreement itself and its implications, alongside the injustices of colonisation and what that means for where we are at now. Following the workshop, I developed an articulation of IC’s commitment to a Te Tiriti honouring Aotearoa and an action plan which reflected how IC would embed this commitment into their work conceptually, structurally and practically. What does this concept/initiative/project look like from a Treaty lens? Who is shaping this work and what worldview perspectives does it reflect? How is this work grounded in an understanding of hapū/iwi relationships to place? How does this work affirm and support te tino rangatiratanga? I also reviewed some of IC’s key documents, in particular the CLD principles, so they would better reflect a way of working relevant to Aotearoa. All of these processes were done with the involvement of the IC team. What encouraging words can you offer individuals and organisations to help them to feel confident to incorporate tikanga, te reo, etc in their work. How can people start where they are at and give it a go? It’s difficult to build good relationships if you don’t have any understanding of what’s important to your partner and if you don’t feel confident in pronouncing their name properly. So learning at least basic te reo and tikanga are an important part of this work for tangata Tiriti. It’s about showing respect and building understanding. Learning about hapū/iwi histories, Te Tiriti, colonisation and its impacts is important too so we understand the fuller context. This work is not just engaging with te reo and tikanga, but is about power-sharing. While all of this learning is central to living and working effectively in Aotearoa, it can feel difficult to engage with, in part because there’s often a sense that we should already know this stuff. So we can get stuck and not act. But it’s like any journey: you are where you are and the most important thing is to take a first step and keep moving. Who can organisations approach for further help with this? Ngā Rerenga o Te Tiriti is a resource to support community organisations in their engagement with the Treaty. It brings together existing resources, organisational case studies, theory and questions to guide practice. 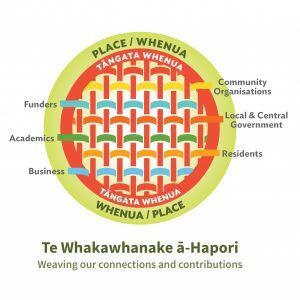 As part of my work with IC, we compiled a few useful resources for communities engaging in the CLD space to support working with tangata whenua. For people working in community spaces, there is obviously also the resource of people in their local communities. Jen Margaret lives in Te Whanganui a Tara/Wellington and is a dedicated Treaty advocate and educator. Jen runs Groundwork, which exists to support people who want to put in the effort to nourish a just and flourishing society. 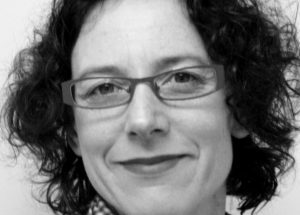 She enjoys working with individuals and organisations to deepen our understanding and application of Te Tiriti of Waitangi. 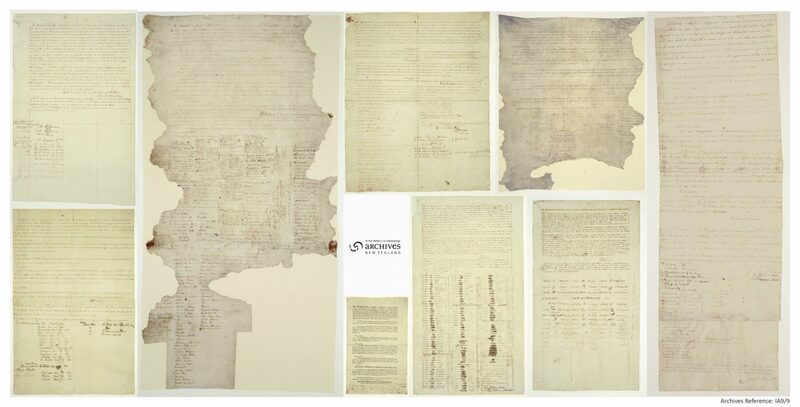 Read more here about Inspiring Communities’ engagement with Te Tiriti o Waitangi. Check out some useful Te Reo resources here.